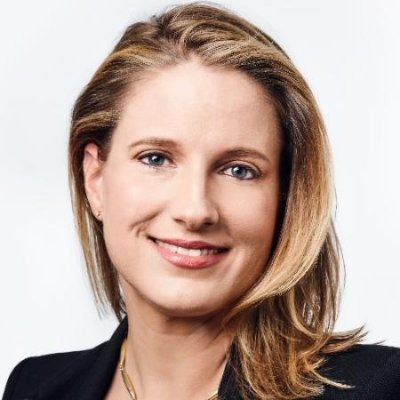 Apple has reportedly recruited New York media icon Lauren Kern to serve as the first-ever "editor in chief" for Apple News, possibly hinting at greater ambitions for the app. The duties involved are unknown, and Kern has refused to comment, Politico said on Thursday. Her LinkedIn profile continues to list her as the executive editor for New York Magazine, where she also worked as an editorial director from 2004 to 2010. Between 2010 and 2014, she was a deputy editor at The New York Times Magazine. Apple News launched two years ago as a content aggregator for iPhones and iPads, replacing a failed Newsstand feature. The app comes preinstalled with iOS, but typically doesn't generate much fanfare from Apple, and has had mixed results for content providers. While The Telegraph has credited it for driving traffic, The Guardian recently withdrew, hoping to improve ad and subscription revenues. Apple could conceivably try to launch its own reporting, but that would be an expensive endeavor and start an uphill battle against entrenched organizations like Reuters, Bloomberg, and the New York Times. More likely is that Apple is hoping to better manage and present Apple News content, for instance by keeping fake news sources at bay. Fabricated claims have sometimes been blamed for swaying the 2016 U.S. Presidential election, particularly in favor of Republican winner Donald Trump.